Sandy Balls is located within the luscious New Forest which is home to an excellent array of activities suitable for all members of the family. Whether you are looking to meet some of the local furry residents, go for an educational trip around the nearby castles, get a family selfie with Peppa Pig or explore the area on two wheels – Sandy Balls is the place for you! To make your trip extra affordable we have some great savings from our local partners! Simply enquire at guest services to find out more information. 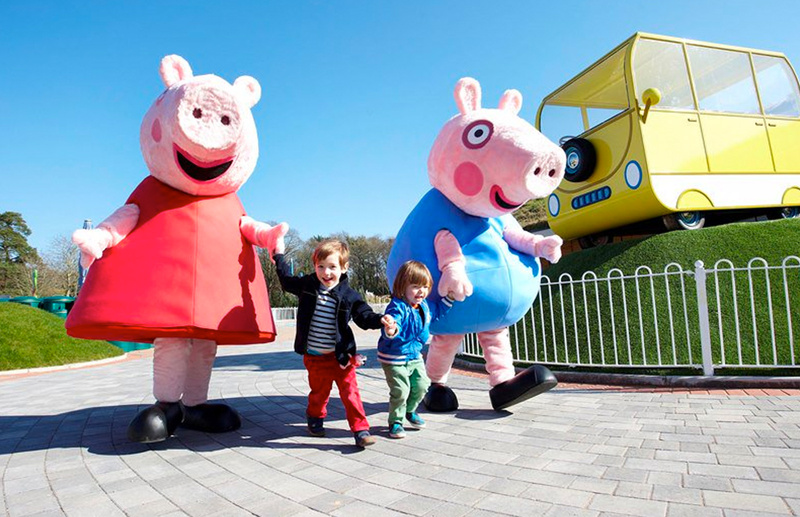 Paultons Park is the UK’s number one family theme park, home to over 70 exciting rides and attractions including the world’s first ever Peppa Pig World! The theme park has it all, from wet rides to fast rides and even a 4D cinema. Click here to take a closer look at some of their action-packed rides. Longdown Activity Farm is a great day out if you want to get up close and personal to some friendly farm animals. 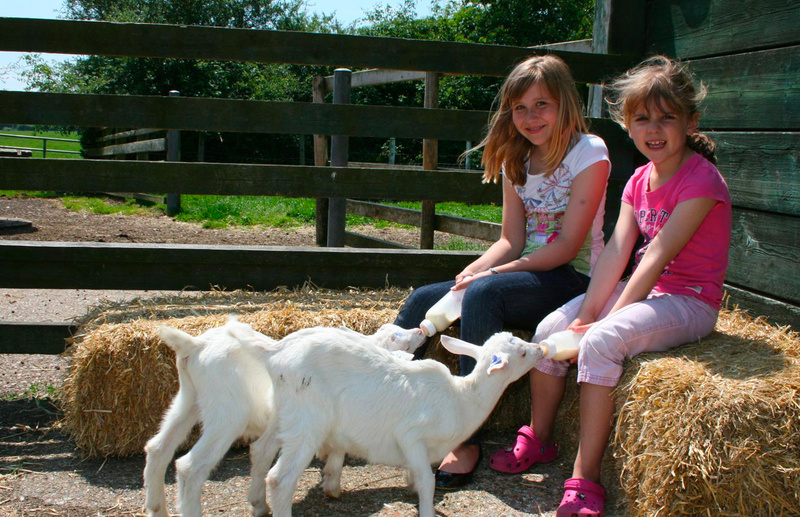 Join in the farmyard activities by bottle-feeding goats and calves, feeding ducks and petting donkeys, alpacas, cute chicks, Pygmy goats, Kunekune pigs, cows and many, many more! 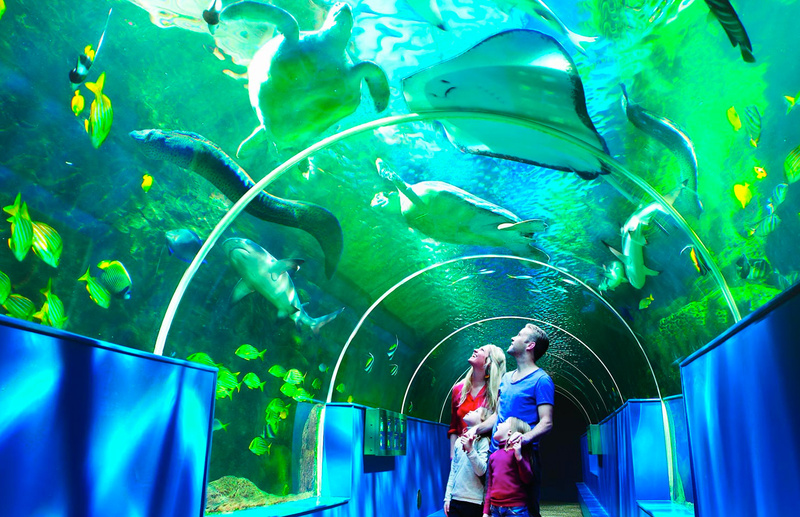 Submerge yourself in an underwater journey at Bournemouth’s Oceanarium, which is just a short 30-minute drive from Sandy Balls Holiday Village. The Oceanarium contains animals from the Amazon River to the Great Barrier Reef all under one roof! What’s more, if you fancy a quick splash in the sea after all the ocean-filled information you’ve been absorbing, Bournemouth beach front and pier is just outside! Take a trip through the times of Henry VIII and explore Hurst Castle, situated 1.5 miles from Milford-On-Sea. The castle was completed in 1544 by Henry VIII and its purpose was to act as one of a chain of coastal fortresses. During World War II, the castle was manned with coastal gun batteries and searchlights. When visiting Hurst Castle, make sure you take a trip to the top of the Tudor castle for some spectacular scenery! If you want to keep your trip even more affordable, we’ve got some great value activities included within your stay at Sandy Balls Holiday Village. Take a read below to find out what we have on offer. Sandy Balls guests enjoy free admission to both our indoor and outdoor swimming pools, which have facilities suitable for the whole family. 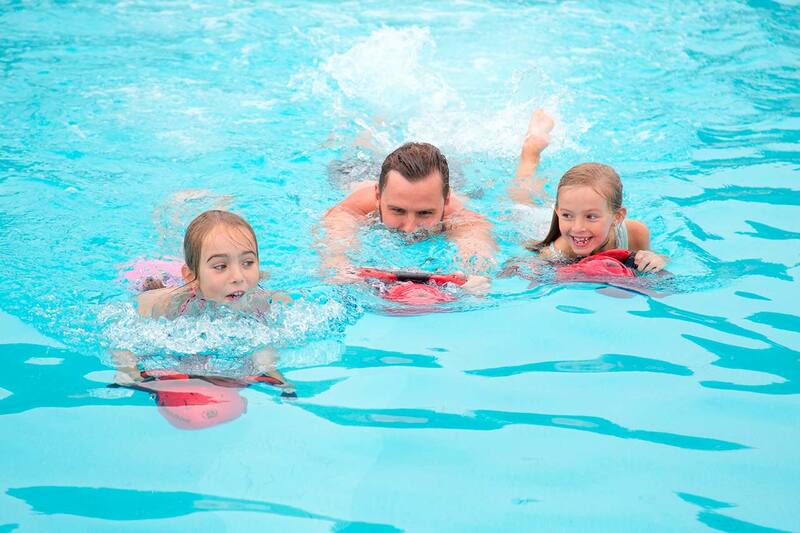 To help build your little ones confidence in the water, encourage them to take a dip and a splash in our separate toddler pool, or even book them in for a swimming lesson! At the end of a jam-packed day, why not take the time to visit our newly refurbished sauna and spa located by the indoor swimming pool – a great way to relax and unwind! Spend the day cycling through the heart of the forest by hiring one of our bikes on-site! We’ve got it all from mountain bikes, kids bikes & tandem bikes… we even have doggy trailers! 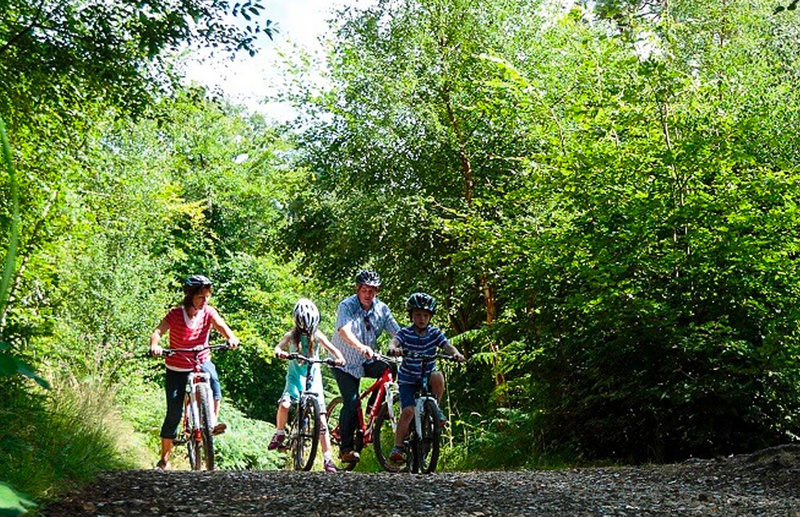 Explore the 100’s of miles of off-road cycle-trails and if you’re lucky you may spot some of the local wildlife! You will be burning through a few calories so why not make a pit stop at one of the traditional pubs en-route, a great way to top up your energy levels – grab a map from the cycle centre and they’ll lead you right to it. 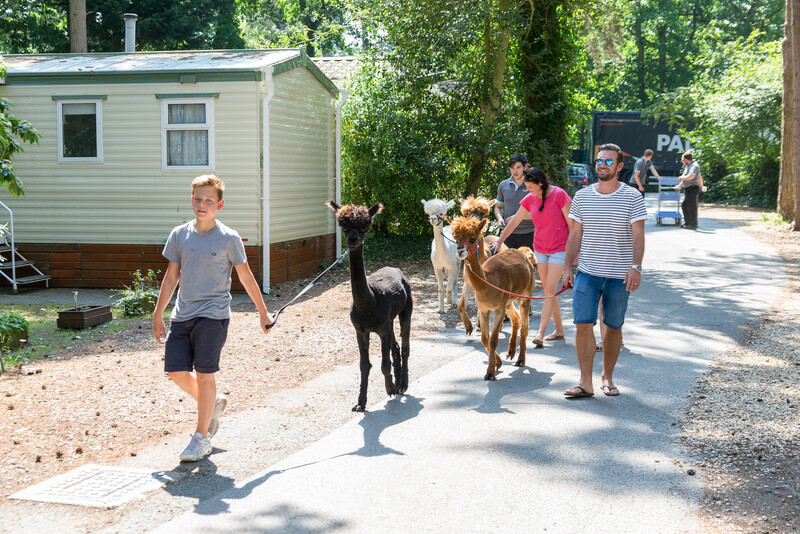 If you’re looking for ways to keep the kids entertained on a family, walk why not join us on a guided walk through the forest… with your very own alpaca! Bring the whole family along as the cost is per alpaca! Whilst at Sandy Balls Holiday Village you don’t need to trek far to reach mouth-watering food. We’ve recently invested nearly £400,000 into our beautiful new restaurant, Aubrey’s Forest Kitchen, and we’re delighted with it! 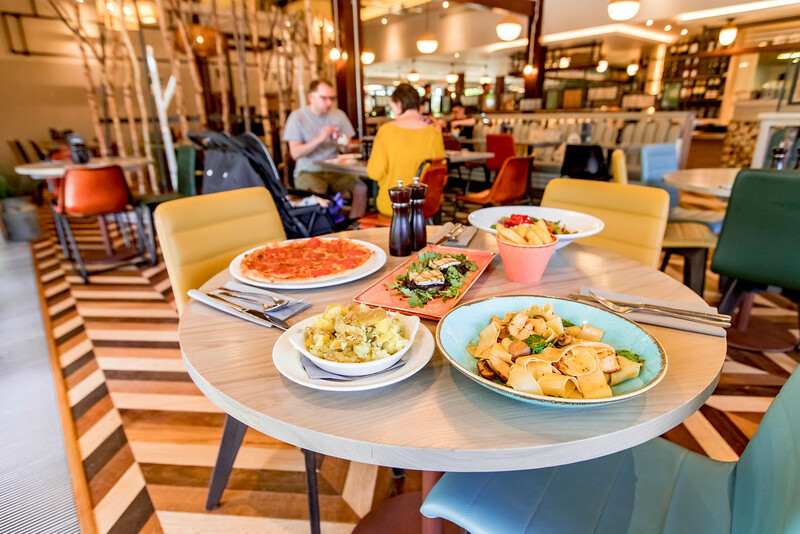 Join us for breakfast, lunch, dinner or even for a cheeky glass of wine! Whether you're looking for a relaxing retreat or an action packed fun break, Sandy Balls has it all.